While we’re just now breaking out our sunscreen and getting ready for summer, the fashion runways have already brought us the fashions of the upcoming fall season. One trend that stood out was colored velvet. Velvet itself is a classic that will never really go out of style, but it’s definitely enjoying a resurgence in popularity this year. Both fashion and interior design have decided that 2017 is the year of velvet, so let’s take a look at how each are using the luxurious fabric. Over the past few seasons there’s been a growing popularity of a feminine idea of romance in the designs walking down the runways. Off-the-shoulder necklines, poet’s sleeves, and corset bodices have all already contributed to this trend. Now soft, gleaming velvet has joined the party to up the ante. For furniture it’s all about taking velvet out of the Victorian tea rooms and pushing it into the modern. Velvet will always have a touch of elegance to it, but it can still work well in casual settings. Paired with distressed wood or other, rougher finishes you’ll have a decor that feels less stuffy and more fresh and laid back. A great velvet sofa or lounge chair will be cozy in the winter and cool in the summer. Many think of velvet as a winter fabric, and while it can be a bit heavy and warm, when done correctly it will look appropriate year round. While rich green and blue velvet upholstery is gorgeous it may seem too heavy in the spring and summer. Velvet rendered in a neutral or pastel will serve you well through all four seasons. Soft, shiny, and luxurious velvet is making a real statement in fashion and furniture. Whether looking to buy a dress or a sofa a neutral or pale toned velvet will carry you through the year and look appropriate whatever the weather outside. 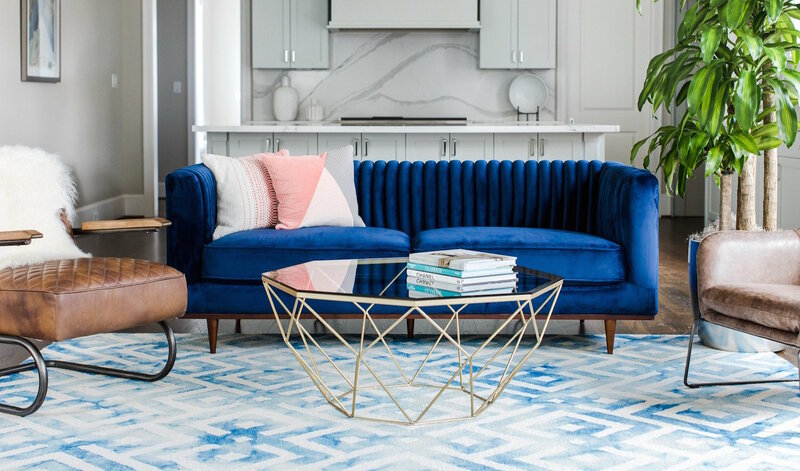 Though velvet will never really go away, now is the perfect time to invest in some velvet furniture since there are more options during a popularity peak.